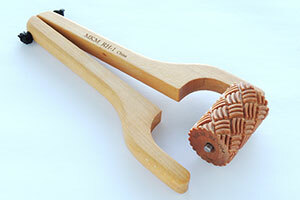 There are MKM Small Rollers for Clay (For use with Handle 1). Our clay rolling pins are wonderful for slab building. Mix and match the various MKM clay texture rollers and stamps to create your own unique designs!